My colleagues and I have just returned from a wonderful trip to St Barths. 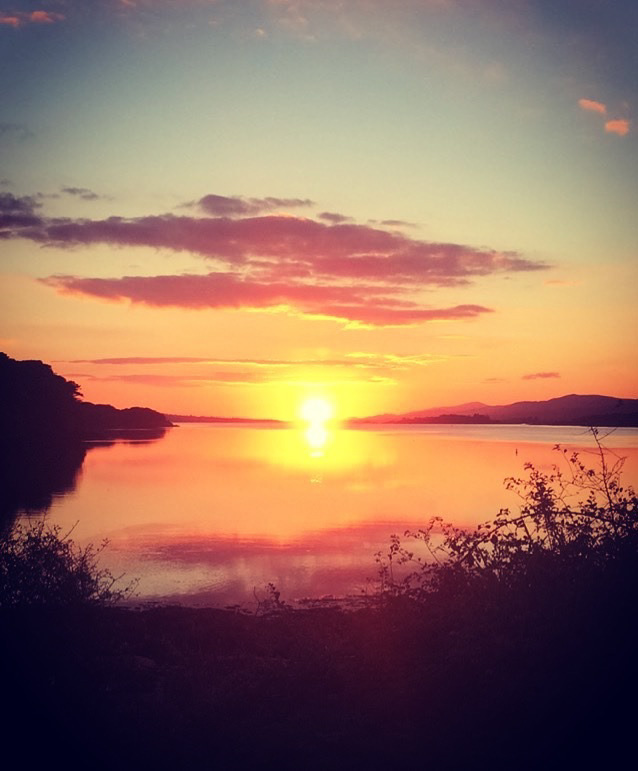 October is a great time to visit if you are looking for a peaceful time on the island. There is very little traffic and getting around couldn’t be easier. A lot of shops and restaurants are only reopening throughout the month but, if you go towards the end of October, the majority of them will have reopened. 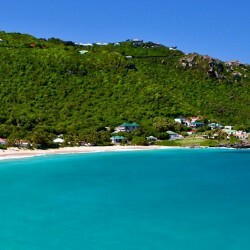 You can find more information in our travel guide to St Barts. Nothing beats sitting out on the terrace with your special someone or your friends and watching the beautiful sunset with a refreshing cocktail. It is one my favourite things to do after a long day exploring the island. 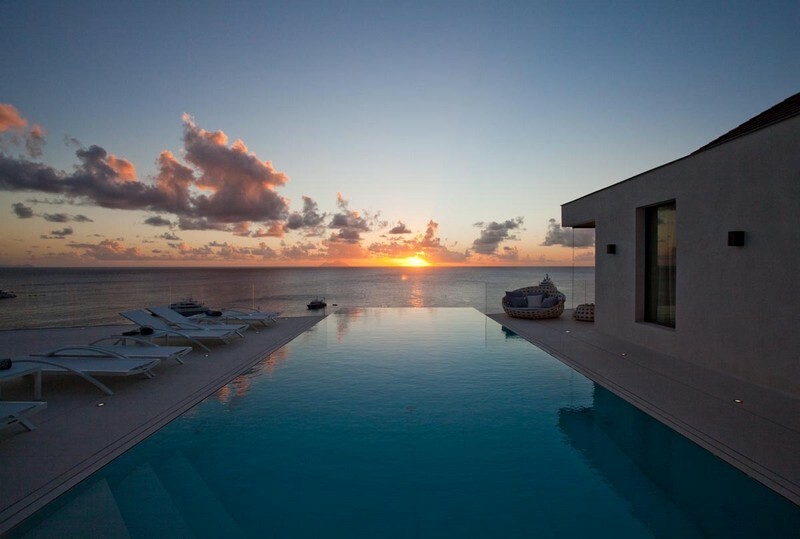 Here are my top St Barts villa rentals with a sunset view. 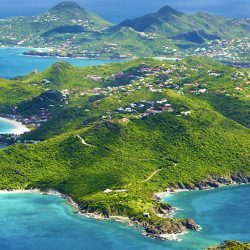 We have many beautiful villas in St Barts but my choices below are my top villas that have both a fabulous sunset and ocean views as not all villas on the island have the advantage of having a sunset view. 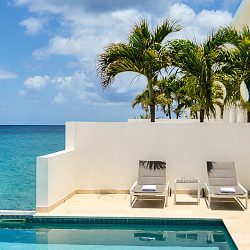 This is one of the most exclusive St. Barts rentals on the island and has to be one of my clients’ favourites of all the villas we feature and I can see why every time I visit. 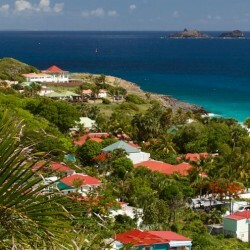 It is within walking distance to Gustavia and has a private stairway with access to Shell Beach. Not only is the villa amazing inside and out, it has the best sunset on the island in my opinion. The photo below gives you an idea of this but experiencing this from the terrace in person is like you have arrived in complete paradise. The View is another one of our exclusive villas on the island with its expansive views from the moment you enter the villa and it is truly unbelievable. 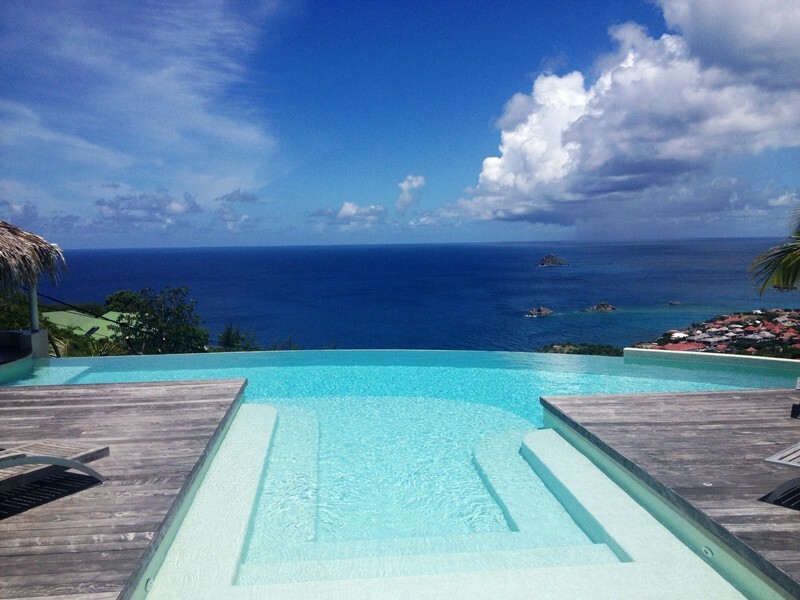 The villa is hidden in the hills of Colombier and again has amazing views with one of the best sunsets on the island. Can you imagine anything better than sitting on the edge of the pool admiring the turquoise waters and watching the colourful sunset? This villa is located in Lurin and is a wonderful option for the sunset- it also has an amazing view and the photos don’t do it justice. I could stay on this terrace looking out at that view all day- it’s so spectacular. It has sweeping ocean views and is a great villa for couples or a large family. Three of the bedrooms are equal in size while the forth bedroom, located on the lower level, would be more suitable for older children or staff. Blue Swan offers one of the best sunset views overlooking the ocean and Gustavia and the islands of Saba and Saint Martin. You will be wishing time would stay still so you never have to leave. Fleur de Cactus is only located a minute away from Blue Swan so it is no surprise the sunset is also very visible at this villa. The villa itself is absolutely gorgeous and is decorated to a very high standard. It has 3 bedrooms that are all very similar so it would be an ideal villa for three couples travelling together. The view at this villa isn’t as open as Blue Swan and you have a lot of beautiful lush greenery in front of the villa with the ocean view beyond this. 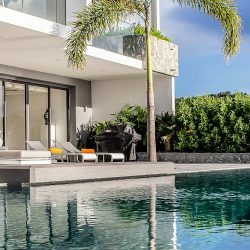 The sunset is absolutely breathtaking and if you are looking for ultra modern St Barths villas close to town with a wonderful sunset: this villa is definitely for you. Last but not least would have to be our villa Serenity. If you are looking for a villa rental that is great value and close to town, then this could be the villa for you. It has an excellent position with stunning views over Gustavia harbour and, of course, the wonderful sunset. It is a great villa for families or couples and you really can’t beat the location. 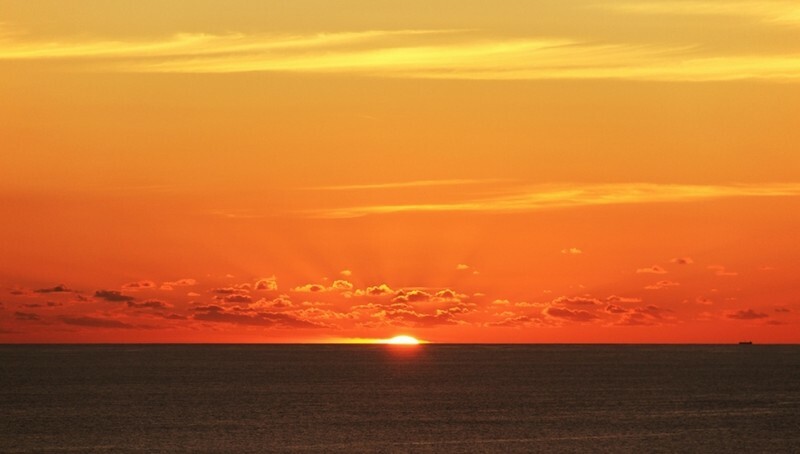 It is possible to view the sunset from many of our St Barts villas. Lurin, Gustavia and Colombier offer the most sensational sunset views. If you choose a villa in any of these areas you are sure to have a gorgeous sunset view with the strong orange/yellow and red tones that mark the end of the day and mark the time to relax and wind down after a fun filled day on the island. 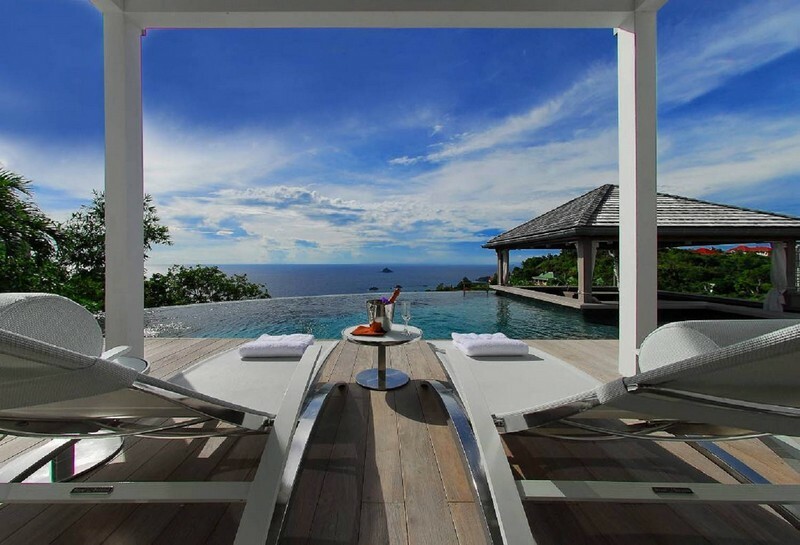 If you are interested in booking a St Barths villa rental with us and want the best advice on a villa with a sunset or any other requirements that are important to you – please enquire with me directly at [email protected] or +353 87 9125300 and I would only be delighted to help you find the perfect villa in St Barths.